All-Pro of Kentucky provides a wide range of carpet and flooring installation at affordable prices in and around the Winchester, KY area. You can achieve a look that will have others bragging about your sense of fashion. With your new floor, you’ll be amazed with the look you can get with new designs and brilliant finishes. This look can be for both hardwood and laminate floors as well as the new colors, patterns and styles available in carpeting. All-Pro of Kentucky provides new installations, repairs, and servicing for both commercial and residential customers. And of course it will be done professionally and in a timely fashion. You can count on our qualified and friendly flooring experts to arrive on time and finish their work to your satisfaction. Upgraded floors will give you one of the highest returns on your residential investment. All-Pro of Kentucky enjoys working with homeowners with their floor needs. We can easily answer any questions through our extensive relationships with reps from companies such as Armstrong, Mohawk, and others. So if want a local, reliable and trusted flooring company in Central Kentucky then look no further than the All-Pros of Kentucky! We are one of the longest standing contractors providing residential flooring in Kentucky. We provide everything you need for your residential flooring projects. All-Pro of Kentucky is a commercial contractor which specializes in the installation of carpet, sheet vinyl, wood flooring, laminated floors and all other types of floors. We provide many options to help get your existing floor replaced with minimal disruption to your workplace. Unfinished hardwood flooring, like it sounds, is unfinished, raw wood that comes to your house. Then our professionals install it, sand it, and finish it. The nice thing about an unfinished floor is that it becomes a custom floor – hence we can stain the floor whatever color you want. Plus the transition areas next to other rooms in the house can be custom made for a smooth transition. Pre-finished hardwood floors are very popular. 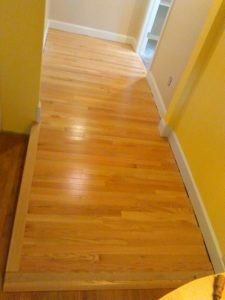 The prices are very comparable to the cost of unfinished floors. The big plus is that not only a perfect finish in a dust free atmosphere, but after your floor is installed it can be immediately walked on. Improve the appearance of your home or business with the wide range of laminate flooring options. Laminate flooring is also known as a “floating floor” system. Therefore it does not need to be nailed or glued down to the subfloor. Our installers can professionally put down a laminate floor in time for your next social event or meeting. Contact us today for a quote. Generally a step up from laminate floors, luxury vinyl flooring has the look of real hardwood, ceramic, and stone in a durable vinyl material. So have our flooring installers provide you with a superior quality, unsurpassed installation service, and fine craftsmanship at a competitive price. Make your remodeled bathroom a real showpiece with modern luxury vinyl floor. Our Winchester-based carpeting contractors use their customer service skills and vast knowledge of the carpet industry to ensure our jobs are completed in a correct and timely manner. Since we specialize in all types of commercial and residential carpeting, our goal is to be your installation professionals. Have you encountered a problem with your existing floor? Call us! We can provide you with answers to your flooring questions and help you solve your flooring problems. We have the knowledge and experience to make useful recommendations, and our expert craftspeople are eager to assist you. 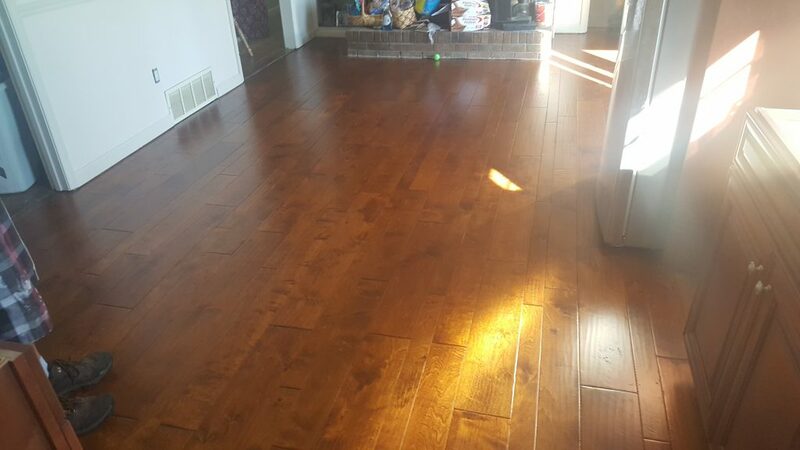 We have installers with many years of experience that are professionals in the installation of all types of carpeting, hardwood flooring, vinyl flooring (both roll and piece goods), luxury vinyl flooring, and laminate flooring. We would be glad to provide you with a free no-obligation quote on your next flooring project. Contact us today!